Been diving in Iceland? Please Vote! Home to some of the planet’s most unique and exhilarating cold water dive sites, Iceland boasts the opportunity to dive in freshwater areas, fjords, between tectonic plates, in geothermal springs or in the ocean. Known for its gorgeous glaciers, magnificent mountains and wonderful waterfalls, Iceland is impressive both above and below the water’s surface and is a must-do for those looking to experience the best in cold-water diving. Diving in Iceland requires that divers are familiar and experienced with dry-suit diving, as there is very rarely an opportunity to dive only with a wetsuit. Water temperatures in Iceland rarely rise above 12°C, even in the height of summer. Depending on the location and the season, the sea temperature varies between 2°C and 12°C, whereas the freshwater site of Silfra remains between 2-4°C all throughout the year. While this makes for great visibility, it means that divers need to follow the correct cold-diving practices in order to stay safe and avoid cold-water diving complications such as hypothermia. By far the most famous of all Iceland’s diving sites is that of Silfra, where divers swim between 2 tectonic plates as they slowly drift apart. Boasting over 100m visibility and year-round diving opportunities, divers at Silfra will experience the exhilarating sensation of diving between the Eurasian tectonic plate and the North American tectonic plate. Forming the northern section of Lake Thingvallavatn, the Silfra fissure dive site is filled with Langjokull glacier water from over 50km away. This water remains between 2-4°C and if filtered through layers of porous volcanic rock, making the water as pure as pure can be. The Silfra fissure is located in Thingvellir National Park, just 45 minutes away from Reykjavik by car. The site is busiest during the summer, but as the daylight hours are so long it is possible to dive well into the evening, which allows for plenty of dive time. If wanting a quieter experience, divers can opt to experience Silfra in the winter, although dive time is limited as there are a maximum of 4 daylight hours around the month of December. Divers are highly recommended to have completed at least 20 drysuit dives and hold a certification for drysuit diving in order to safely experience the Silfra fissure. 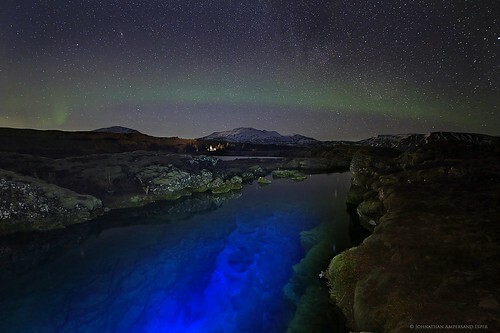 Just 30 minutes from Reykjavik to the south, divers can experience some eerie, odd and exciting diving in an amazing geothermal spring located at Kleifarvatn Lake. 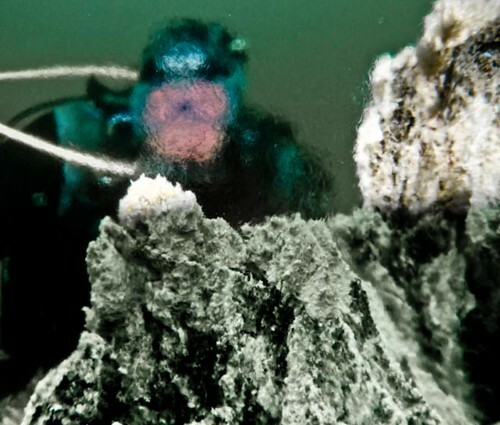 Divers walk right into the lake along a silty, clay-like bottom and make their way to a 10m deep cratered area where streams of bubbles come up to the surface from the lakebed. 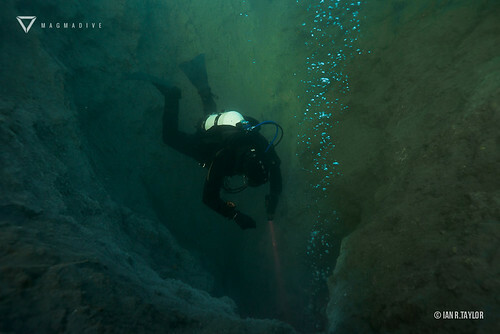 With smells of hydrogen sulfide and sulfur, divers are likely to see deceased brown trout laying all over the lakebed and warm bubbles emanating from mysterious walls and dark spots. For a unique experiential experience, try taking an egg underwater to hard boil it using the warm gas bubbles, which tend to vibrate the surrounding rocks and make for a very exciting underwater experience. Although the Kleifarvatn lake water can warm to 14°C in the summer, it is still recommended to make use of a drysuit in the months of May to October. The lake will freeze over during the harsh winter months. Since the dive is shallow and relatively easy, it is suitable for even Open Water divers. Driving south from Reykjavik to the Kleifarvatn Lake is an experience within itself, as it looks as though you’re driving to the moon past sets of massive volcanic rocks. Iceland’s ocean diving opportunities are varied and plentiful and offer the chance to see a host of marine mammals, shellfish, molluscs and interesting coloured algae. Located in the north outside Akureyri town, the dive site known as Strytan gives divers the chance to dive a geothermal cone which generally lie many kilometers beneath the ocean’s surface. The geothermal cones at Strytan vent warm, fresh water into the nearby fjords and have been doing so for more than 11,000 years. Despite the cold temperatures of the ocean, the water vented by the geothermal cones is at least 80°C and is full of dissolved minerals. Divers begin by diving the ‘trial run’ dive at Little Strytan which lies at 26m. Divers will need to hold an advanced diver certification and have at least 20 drysuit dives logged. It’s imperative that divers maintain excellent buoyancy throughout the dive, and if the requirements are not met dives will be unable to move onto diving Big Strytan which begins at a depth of 60m and rises to 15m. Although one wouldn’t think it, there is a surprising amount of marine life to be seen around the geothermal vents including wolf fish, jellyfish, cod, pollock, nudibranchs and starfish. There is even the chance to see humpback whales in the area and diving is possible all throughout the year. Conveniently located nearby Icealand’s international airport at Keflavik, Gardur is an exhilarating shore dive just 1 hour away from Reykjavik. Suitable for all qualifications as the deepest point is only 18m, it is still recommended that divers be qualified to dive with drysuits before attempting to dive at Gardur. The best months to experience Gardur are from May to September, as the strong and icy winter wind will affect the sea and visibility at this shallow site. Divers are sure to see a good amount of macro life as well as different coloured algaes and thick kelp forests. Between the kelp, divers might see scorpion fish, wolf fish, cod, monkfish, pollock, flatfish and potentially even Atlantic herring. Although it is unlikely based on the depth of the site, divers might be able to spot a host of whale species including orcas, humpbacks, minkes, sperm, blue, fin or sei whales in the blue water. For wreck-diving enthusiasts looking to explore an interesting wreck, the 150m SS El Grillo in the east of Iceland is a historic wreck that will take a number of dives to fully explore. Originally a British oil tanker that was sunk by fighter planes from Germany in WWII, the ship was eventually pumped free of oil in 2002 and laid to rest 45m beneath the surface with its shallowest point at 28m. Because of its depth, only advanced divers are able to dive the SS EL Grillo, and diving with Nitrox is ideal. Divers will also need to hold a drysuit certification. It is best to dive this wreck between the months of May to September.